For the first time, a paradise in danger will host the UN climate talks. Can Fiji’s presidency bring about the desperately needed global partnerships for island nations? The 23rd UN Climate Change Conference will take place November 6 to 17, in Bonn, Germany. 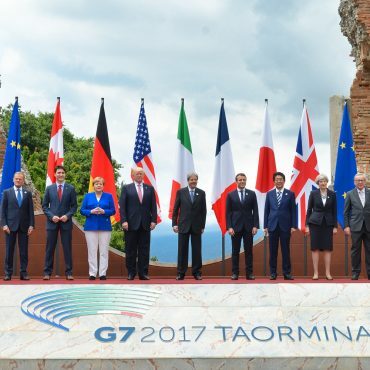 The government of Fiji with its Prime Minister Frank Bainimarama will be presiding, and has presented a vision for “a Presidency that is transparent and inclusive of all, advances the Paris Agreement and accelerates climate action for vulnerable societies, drawing on [their] own experiences as a small island developing state in the Pacific.” Fiji’s status as a Small Island Developing State (SIDS) means it has a front row seat to the consequences of climate change, and unfortunately it is not unique in this view. There are currently 57 SIDS identified by the United Nations Department of Economic and Social Affairs, and each one of these islands faces rising sea levels and increased extreme weather events, often coupled with failing infrastructure, logistical difficulties due to isolation, and governments struggling to help their citizens out of poverty while also dealing with the looming consequences of climate change. The future impacts of global warming are already there. Frank Bainimarama has said about climate change that “unless the world acts decisively to begin addressing the greatest challenge of our age, then the Pacific, as we know it, is doomed.” Adapting to climate change will take not only the hard work and political savviness of all 57 SIDS, but also of global partners. And even with the ratification of the Paris Agreement, millions of people are facing relocation from their island homes. On October 5, 2016, the Paris Agreement cleared the final hurdle to enter into force after the European Union submitted its instrument of ratification to the United Nations and the two thresholds of 55 countries and over 55 percent of global emissions were reached. So far it has been ratified by 168 parties. The main aim of the Paris Agreement is to keep global averages temperature increases to below 2 degrees Celsius, with individual countries developing and implementing their own plans to mitigate warming. While an admirable goal, there is great uncertainty about whether it is even possible at this point. Many SIDS have ambitious emissions goals. The Marshall Islands, for example, have pledged to reduce its emissions by 32% from 2010 levels by 2025. Papua New Guinea became the first country to formally submit a climate action plan under the Paris Agreement, in which it plans to transition to 100% renewable energy by 2030. Singapore has pledged to reduce its emissions by 16% from business-as-usual by 2020, and aims to stabilize emissions by 2030. While many SIDS have taken the lead on transitioning to renewable energy, these ambitions are often tempered by the reality of being an isolated, often poor, nation. Papua New Guinea, for example, scores a 4 out of 10 on the Environmental Policy indicator in the Bertelsmann Transformation Index (BTI) 2016. ExxonMobil embarked on a natural gas extraction, pipeline, and export joint venture, which promised to grow the local economy. The results of the project, however, are quite different, as Papua New Guinea, after seeing record GDP growth rates in 2015, quickly fell into dire financial straits. The government has a tendency to focus its hopes on its resources and extraction rather than on its people. Singapore, while scoring an 8 out of 10 in the Environmental Policy Indicator of the BTI, is also the 28th highest consumer of fossil fuels out of 219 countries. 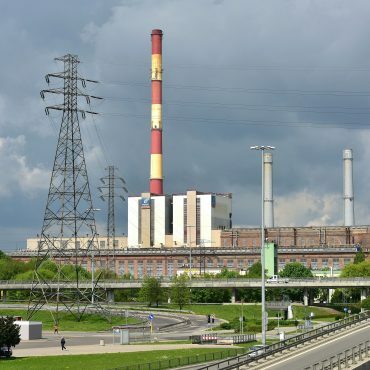 Singapore’s fairly moderate emissions reduction pledge may be due to its geographic location making it difficult to rely on any sources of renewable energy other than solar. Even in locations that are conducive to transitioning to renewable energy and serious emissions reductions, the reality is that SIDS emissions are only a very small part of overall emissions, and will likely have minor impacts on climate change. At the COP23, Fiji’s goal will be to show leadership by example, while also emphasizing the desperate need for global cooperation on climate change. In 2012, residents of Vunidogoloa, a Fijian village, began relocating due to rising tides. They were not the first people to uproot their lives due to climate change, and they will not be the last. Fiji has pledged to transition to 100% renewable energy by 2030, and has partnered with international organizations and the private sector to implement sustainable development policies. Fiji was the first nation to ratify the Paris Agreement, and was the first SIDS to join the Under2 Coalition, an international agreement between cities, states, and countries to keep global temperature increases below 2 degrees Celsius. As a leader in the climate world, Fiji is poised to motivate others at the COP23. Fiji’s Minister for Agriculture, Rural and Maritime Development and National Disaster Management, Inia Seruiratu, states that “Success on climate action requires deep collaboration by a broad coalition of stakeholders. We all have a role to play. If we are not part of the solution, we are part of the problem.” With Fiji’s leadership at the COP23, hopefully global society can make strides towards implementing the Paris Agreement. Alison Singer is a freelance writer for environmental organizations such as the Worldwatch Institute and the Climate Institute. Currently, she is PhD candidate in Community Sustainability at Michigan State University. She writes regularly for the Bertelsmann Stiftung’s SGI News and BTI Blog. AM PRAYING FOR THE SUCCESS OF THE BONN DELIBERATIONS…. !!!! Prof Premraj Pushpakaran writes — 23rd Conference of Parties to the UN Framework Convention on Climate Change, Bonn, Germany, is the stepping stone for global climate action and this event would strive hard to generate constructive progress in making Paris Agreement operational!! 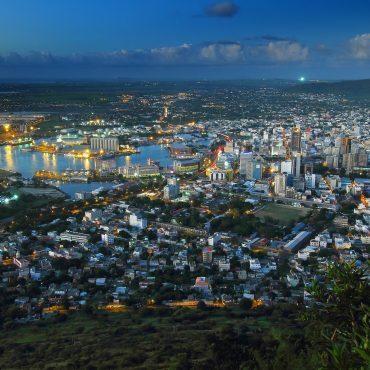 Mauritius: Ready for a Second Economic Miracle?